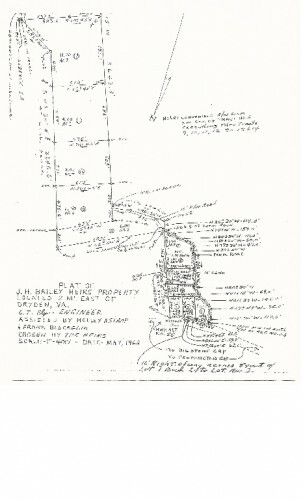 0.88 acres of level, surveyed land fronting on Veterans Memorial Hwy (St.Rt. 58 4 lane) on eastbound side. 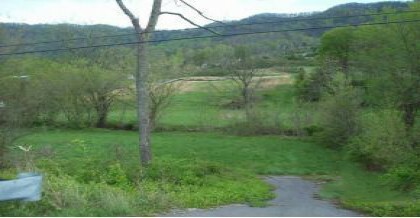 Level lot with small stream and access road across front. Midway between Big Stone Gap and Pennington Gap, VA.
DRIVING DIRECTIONS: From Big Stone Gap on Wood Ave., go approximately 9 miles toward Pennington Gap. Street changes to Pennington Gap Hwy. at edge of town limits and changes to Veterans Memorial Hwy at Lee County line. Make U-turn at Old Woodway Rd. and take immediate right onto Nancy Bailey Rd. Property is located on left side of road. Sign posted.